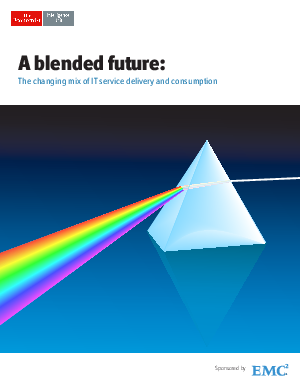 A new global survey of executives confirms a changing mix in how IT services are delivered and consumed. This trend is expected to continue over the next three years. The survey was conducted by The Economist Intelligence Unit (EIU) in December 2013 and sponsored by EMC. Respondents include CIOs and line-of-business executives (LOBs). The findings and insights complement an earlier EIU study that assessed the emergence of CIOs as strategic leaders in a setting of continuous business and technological change.